Tone deaf or not, music is a part of us all. 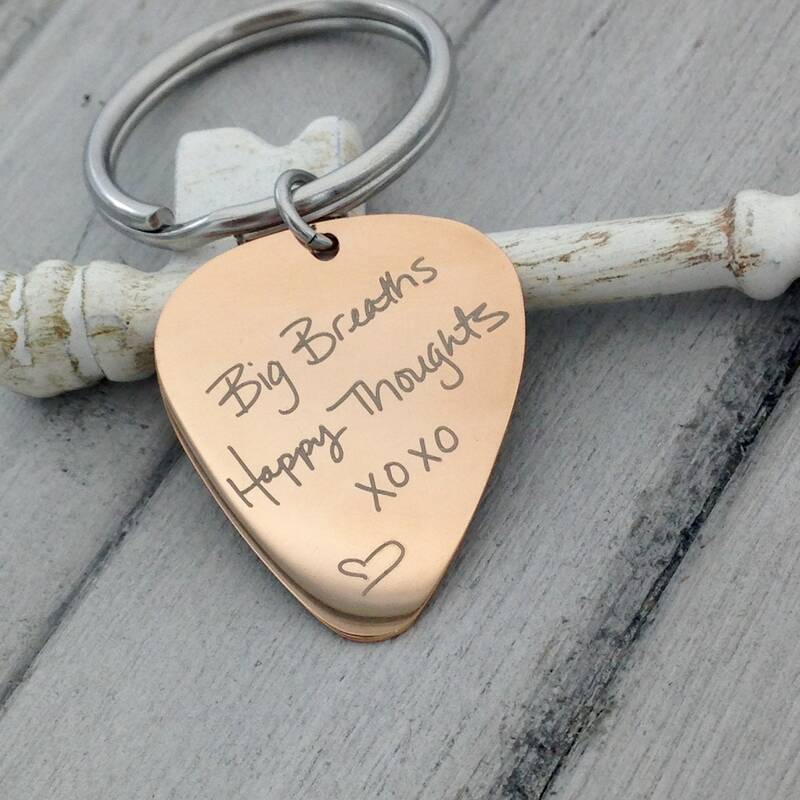 Personalized to fit your style, this guitar pick is perfect for music enthusiasts alike. 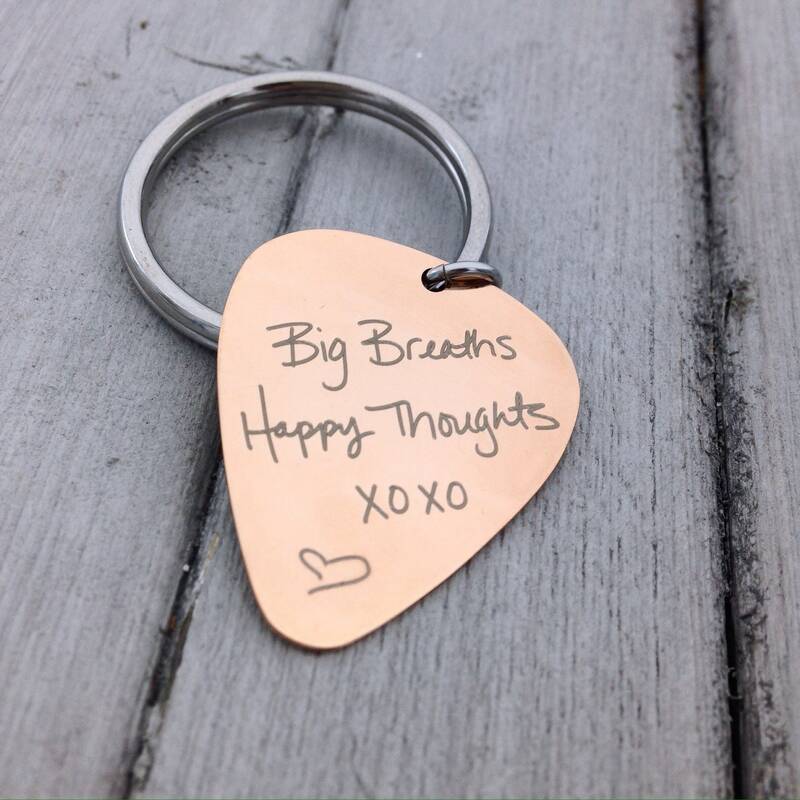 Add a "John Handcock" for a sleek design, or a handwritten note for a little reminder to those you love. Your choice of using your own handwritten design or choose from our font options to create a one and only piece to cherish for years to come. 🔹Add your personal touch with an engraving of your choice on the front and/or back side. Initials, dates, signatures, etc... 🔹Up to 3 lines of text, up to 30 characters per side. 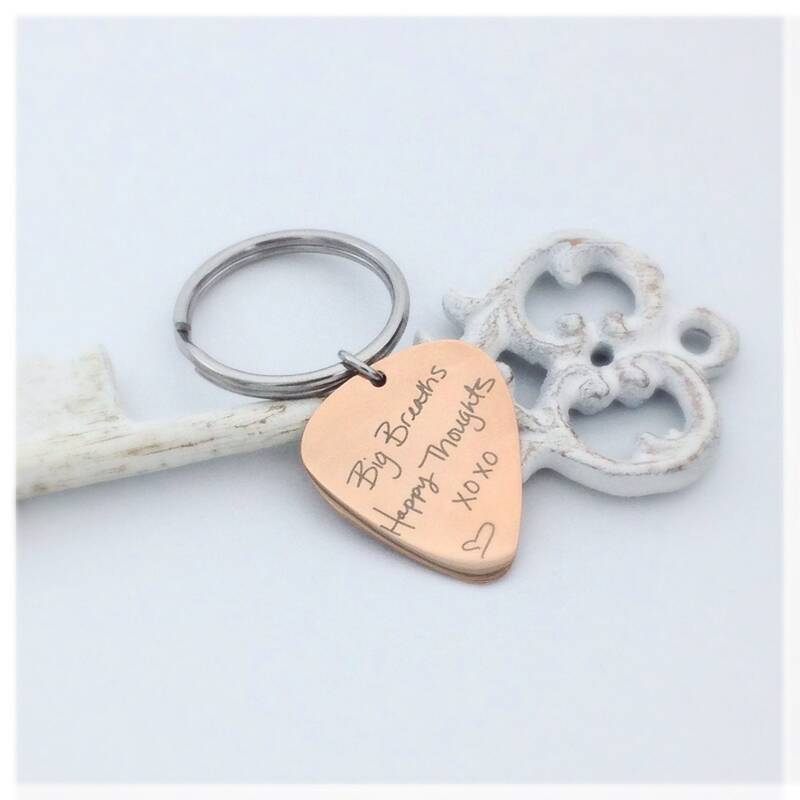 Included with steel key ring. *If you prefer the white engraving (signature photo) please specify in the notes section at checkout. Otherwise the dark black engraving will be chosen for you.